No need to buy new things for the new year, Erzulliesta! Learn to shop in your closet for an instant style revival! I am guilty of this. I have this white Mango blazer in my closet that I bought and swore that I will only wear it for special occasions. When I bought it 2 years ago, I only wore it once for an important job interview. I didn’t get the job, but hey! I found a great occasion. But that’s not the lesson here. Time to wear that expensive item and let it pay itself by usage. 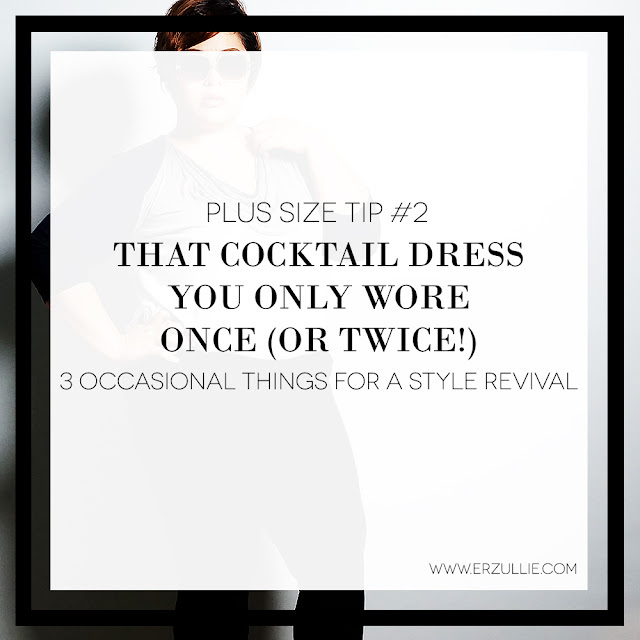 There are now many ways for you to downplay a cocktail dress for daily casual use. Adding a denim jacket/blazer or basic flats can do that for you. Minimize the accessories or partner it with your daily bag will also do the trick. Anything basic, paired with a special set of jewelry (faux or not) instantly gives it an “expensive” lift. So start wearing it every now and then for a sudden style surprise.